Headline after headline continues to capture the attention of millions of Americans across the United States. Heated debates and discussions revolve around politics, the economy, and pressing social issues. Many are struggling to make sense of it all. Children, in particular, are growing up in a time when news is easily accessible. With controversial topics such as racism, women’s rights, and climate change taking center stage, children are being exposed to both the dangers of and the lessons that can be learned from living in the 21st century. For teachers and parents, the unique challenge is teaching students and children how to navigate the controversial topics of today in a mature and informed fashion. In this guide, we’ll review how teachers and parents can discuss these issues with the youngest generation in an open and educated manner to prepare children for whatever the future may hold. Prominent figures speak out across many mediums—social media, television, rallies. Many voices are clamoring to be heard—whether as advocates or opponents—and children are inadvertently exposed to the good, the bad, and the ugly. The questions that children will have must be addressed for specific reasons, and teachers and parents must be prepared to provide answers. For example, across the country, the Women’s March of 2018 attracted hundreds of thousands of women in support of social change regarding issues such assexual abuse, reproductive rights, and equal pay. Women of all ages—even children and teenagers—were getting involved. And while some youths are playing an active role, such as participating in a protest, others are keeping an eye on the news. How exactly do Americans, especially children, learn about current events? Nearly 40 percent of American adults get their news online. 50 percent of 18- to 29-year-olds get their news online. 66 percent trust family as a source of news. 63 percent get their news from family, teachers, and/or friends. 49 percent cited online media, such as social networking sites, and/or websites or mobile apps. 39 percent prefer online media as a news source. 41 percent of tweens prefer YouTube. 37 percent of tweens prefer Facebook. 47 percent of teens prefer Facebook. 14 percent of teens prefer YouTube. According to research firm Influence Central, children are getting their first smartphones around the age of 10. And with 73 percent of teenagers owning or having access to a smartphone, it is no longer a question of how to protect them from the news but how teachers and parents should help them navigate the controversial issues of today in an educated fashion. How Do These Events Impact Our Youths? News consumption can be distressing and disturbing for individuals of all ages. Children and teens, however, are most vulnerable. 63 percent said the news makes them feel afraid, angry, and/or sad or depressed. 50 percent said that when they see non-white children in the news, it’s negative and/or related to crime and violence. Only one out of three children agreed that the news treats women and men fairly and in an equal way. Rather than shielding children from the danger, violence, and tragedy discussed in the media today, teachers and parents should take a proactive stance, helping them to understand and process difficult news. Step 1: Listen to a student’s question one-on-one or dedicate class time to the question. For kids ages 8 through 12, many will see the morality of events in black and white. During this time, they are developing their moral beliefs, and it is important to listen to and understand their perspectives. Teachers can take the opportunity to help students understand the basics of prejudice, bias, and civil and religious disagreements. Step 2: Consider students’ ages and maturity levels before responding. Teachers must be aware that, regardless of age, some children are more sensitive than others to violent or disturbing news. While some students can handle a discussion of traumatic events, some may be more sensitive. Teachers must use discretion when leading a discussion and should focus more on the lessons and themes behind the news, rather than grisly images or disturbing details. Step 3: Keep in mind key principles and techniques. Provide historical context. This is an opportunity to curb fear by showing students that protests and movements have helped move the country forward. Be honest. Admit personal fear and anxiety but also reassure them that the administration and school staff work hard to create a safe environment for students. Be patient. If adult limits are tested by traumatic news, then kids especially need to see their teachers behaving in a patient and calm manner. Role-play. This technique can help students across all ages understand their own motives and teach them how to act in certain situations. Encourage open dialogue. Teachers should regularly communicate with their students and take note of any changes in behavior, whether caused by traumatic news or difficult relationships within the home. Encourage the student to do his or her own research. Help the student gauge a source’s credibility. why, how, what if, imagine that . . .
Reach out to the student’s parents to help address the questions. If related to ethnicity, culture, or religion parents should be included. Encourage the student to take positive action. Common Sense Media | A resource for parents and teachers to understand which actions are appropriate based on a child’s age. National Association of School Psychologists | A resource available to the public to help children and youth cope with traumatic events. Citizenship Foundation | A resource for teachers and educators that provides guidelines and principles of teaching and discussing controversial issues within the classroom. Step 1: Listen to a child’s question. A child can easily sensationalize recent events based on conversations with peers. 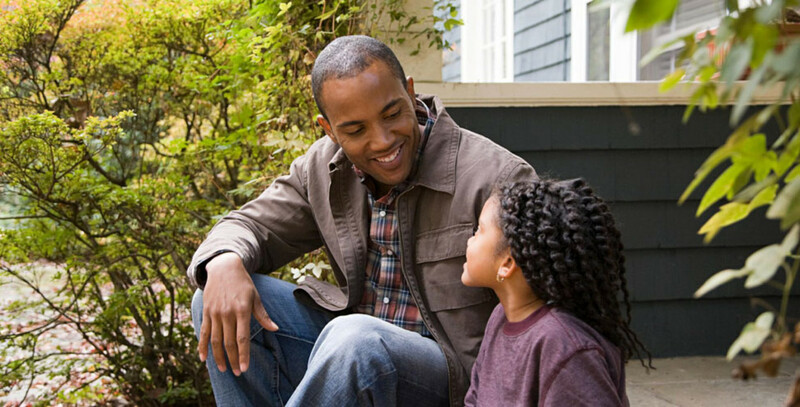 The parent’s role begins by listening to what the child already knows. Step 2: Consider the child’s age and maturity before responding. A child’s maturity is not solely dependent on age. Therefore, parents should seriously consider their child’s maturity before responding to difficult questions. Does the child understand cause and effect? How well does the child grasp abstract concepts, such as God, death, or morality? How well can the child relate school lessons to everyday situations? How well does the child empathize with others? How does the child react to bad news in general? How does the child cope in difficult situations? Step 3: Understand how to filter news coverage. It is important to explain to children that news programs compete for viewers, which, in turn, affects what kind of news they deliver and how they deliver it. Children don’t need to be exposed to ghastly pictures of mass shootings to understand the causes and effects of events. 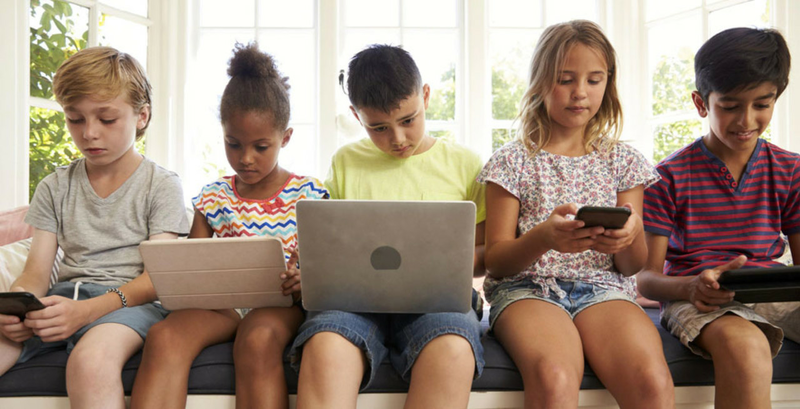 Place age-appropriate restrictions on internet access and the types of websites children can view. Plan the times parents choose to watch the news so that children are not excessively exposed. Watch the news with their child and turn off the content if it is making the parents uncomfortable. Broaden the discussion of disturbing news to topics such as philanthropy and social work. Discuss what the child can do to help those affected by the tragedy. After learning about a local or national tragedy, children and teenagers should be encouraged to act on their convictions in a positive and constructive way. Parents can help their child get involved by helping those in need or thanking those in law enforcement and public office who are doing their best to keep the community safe. American Psychological Association | A resource for parents to help their children manage distress. The Center for Parenting Education | A collection of free articles, recommended books, and a resource directory to help parents raise children who will become caring, confident, and responsible adults. News of natural disasters, terrorist attacks, mass shootings, and other traumatic events are being reported on local and national levels across a plethora of mediums. Unlike other media, news reporting is not censored for children, leaving teachers and parents responsible for helping young minds navigate controversial topics. Teachers and parents can properly educate children on how to receive, process, and respond to negative or distressing news by listening to children’s questions, understanding their maturity levels, filtering content, and encouraging expression. The key is taking an active role in shaping the minds of the next generation.